Ever since 1816 when the chronograph was first invented, people have trusted this method to time a variety of events. A chronograph watch is different than other watches because it allows you to record multiple measurements of time at once such as seconds, minutes, and hours, with the use of three different dials. With a Nixon chronograph watch, you get the convenience of this type of time wear combined with the exceptional quality of this respected brand. 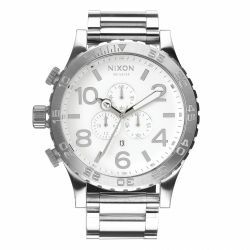 We offer a large selection of Nixon chronograph watches in a variety of styles including sporty, casual, and dress options for both men and women. 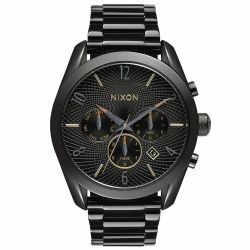 Every watch included in our collection of Nixon chronograph watches features the impeccable standards of this designer. 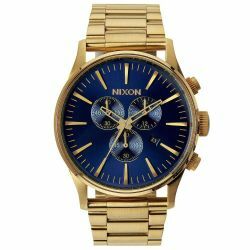 Known around the world for their innovative designs and careful craftsmanship, a Nixon chronograph watch is a bold way to make a fashion statement. All of the watches from Nixon offer stunning attention to detail for an unparalleled level of craftsmanship. 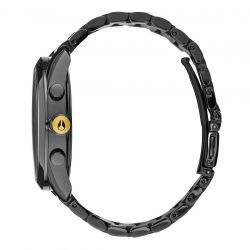 Whether looking for the sleekness of an all-over unity in color, including all black, silver, or gold tones, or the beautiful contrast of different colors at play including options with black faces and silver bezels or brown bands with gold toned bezels, we have a match to meet your preference. 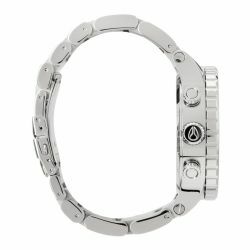 Every watch features expert beauty with small embellishments of class and elegance, such as crystal encrusted bezels, intricate basket weave bands, stingray style leather, and more, for a bold accessory you will love to show off. Made with quality materials, such as stainless steel and hardened mineral crystal, a Nixon offers the best in performance and beauty. At REEDS Jewelers, we are a family owned business. We are honored to be a part of your family with our collection of fine jewelry and accessories for every occasion. If you have any questions or need assistance, our team of jewelers would be happy to assist you further.